The estate is in desperate need of repair, with an outdated electrical system being just one of the "critical risks" to the Grade I listed building. Labour leader Jeremy Corbyn said the fire in Paris should serve as a "warning" to get the work done. And Leader of the House of Commons Andrea Leadsom said it was a "crucial reminder of the importance of preserving our historic buildings". There is a plan for a full "Restoration and Renewal programme" for the site, but what will it involve and when will it take place? Much of the building's mechanical and electrical systems, such as heating, lighting and power, were installed into the building after World War Two and should have been replaced in the 1980s. But Tom Healey, the restoration programme director, said Parliament had taken a "patch and mend approach" instead, to keep systems plodding along despite being way beyond their shelf life. Richmond House, on Whitehall - near the existing Palace of Westminster - is the preferred location for the temporary Commons, while the Queen Elizabeth II Centre - a stone's throw from Parliament Square - is preferred for the Lords. To allow time to get all this preparation done, the programme isn't expected to begin until the mid-2020s. 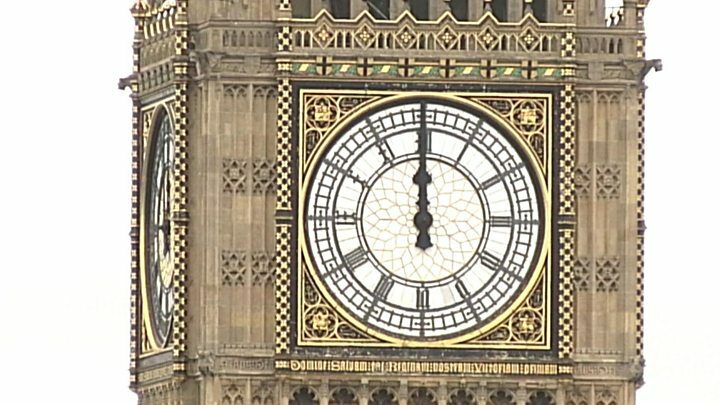 This includes work to Elizabeth Tower - home to Big Ben - where the roof will be stripped off and restored, the bell frame repaired, leaks into the clock room stemmed and a lift installed. It has definitely increased attention to the issue from MPs, including from Labour's Chris Bryant. 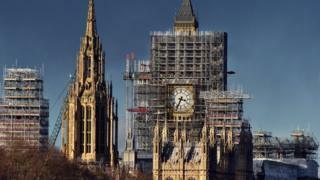 A Parliamentary spokesman said: "Fire safety is a key priority for Parliament and protections are constantly reviewed and updated, including at our active construction sites, and in planning for the future restoration and renewal of the Palace of Westminster. "We stand ready to learn any lessons that emerge from the fire at Notre Dame to ensure we do everything possible to protect our people and buildings on the Parliamentary Estate."